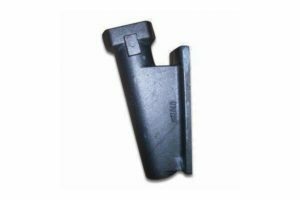 Our specialty is in Ductile iron casting parts, iron/steel casting, forging, and CNC-machining. Our products cover the fields of construction machinery, power systems, material handling and transportation machinery, metallurgical equipment, mining machinery, chemical engineering machinery, and etc. Sand casting (green sand, resin sand), shell mold casting, lost foam casting. CNC vertical lathes, CNC horizontal lathes, CNC vertical machining centers, CNC horizontal machining centers, CNC boring & milling machines, surface grinding machines, drill presses, slotting machines, planner machines, sawing machines, ultrasonic cleaning machines, wire-electrode cutting machines. Iron pallets/racks, wooden cases(with IPPC marks), cartons or as per customer’s requirements. PT (penetrating testing), MT (magnetic particle testing), UT (ultrasonic testing), RT (radio-graphic testing). Before the furnace carbon-silicon analyzer, carbon-sulfur analyzer, Chemical element analyzer, spectrometer, Metallographic inspection microscope, sclerometer, tensile tester, impact test machine,(3D measuring machining/CMM), vernier caliper, micrometer, height gauge , film thickness gauge, radioactive element detector, gauges, surface roughness tester and etc. Sand blasting, polishing, anti-rust oil, primer coating, finishing coating, dipping, hot dip galvanizing, electroplating, chrome plating, anodizing, powder coating, electrostatic coating, spraying, electrophoresis, mirror polishing, parkerising, nitriding, and etc. Auto CAD, Solidworks, Pro/E, UG. Construction machinery, power system, material handling & transportation machinery, metallurgical equipment, mining equipment environment protection equipment, automobile, chemical engineering equipment, marine machinery and etc.. Packing: products are packed in iron pallets/racks, wooden cases, cartons or as per customer’s requests to avoid rust and damage during shipment. Delivery: we accept all kinds of delivery terms such as EXW, FOB, CNF, CIF, DDU, DDP and etc. Our experienced inspectors and shipping agents assure our products appropriately loaded in containers and delivered to our customer’s facility safely and on time.